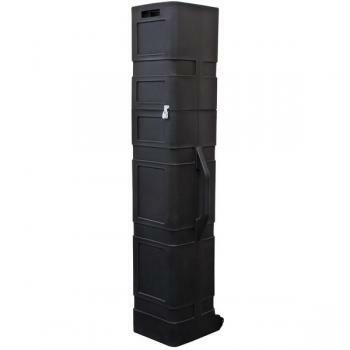 This long square shipping case with wheels allows you to transport, ship and store your display and accessories. Easy grip handles and built-in wheels for smooth transport. Fits event tents, long banner stands, and various other equipment. Ideal for national and international freight shipments. Ship via UPS, FedEx, airline or motor freight.